Would you say that your family could be described using today's adjective?? 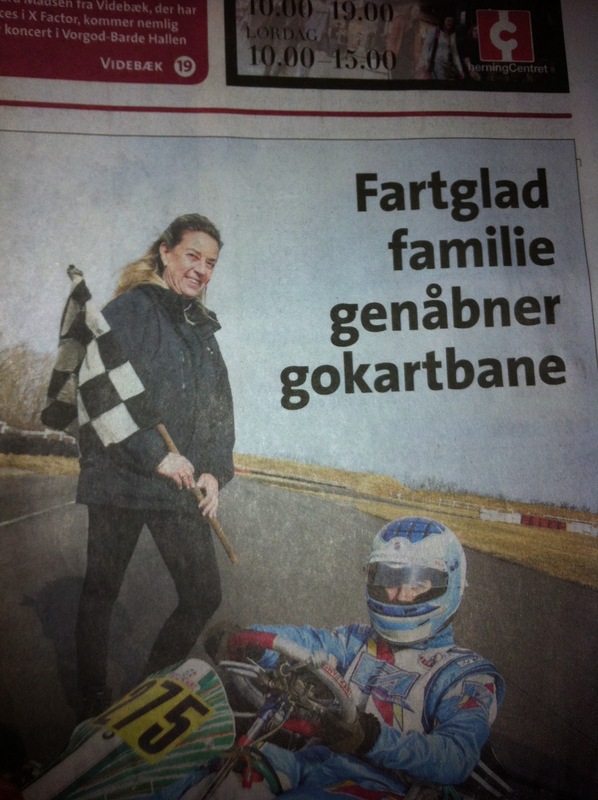 Yeah, yeah, I know this merely means that the family likes hanging out at the go-cart track and racing things.... but oh the directions your mind can go when you read headlines like this one! LOL! :) German has that, too. Imagine singing "Schlittenfahrt" to the tune of Jingle Bells! It is funny how(we)more mature people can resort to childhood humor, even when sober! Love it... it never gets old! I have been reading your blog a bit from time to time. I am a friend of Nichole and Michael whom I know you have visited in Lyngby. I think we have the same sense of humor. keep sending the fart jokes. Personally, I like the 'farts demper' singns before speed tables/bumps.